"Fortress balance sheets?"... "It's different this time"... "Greatest economy ever." 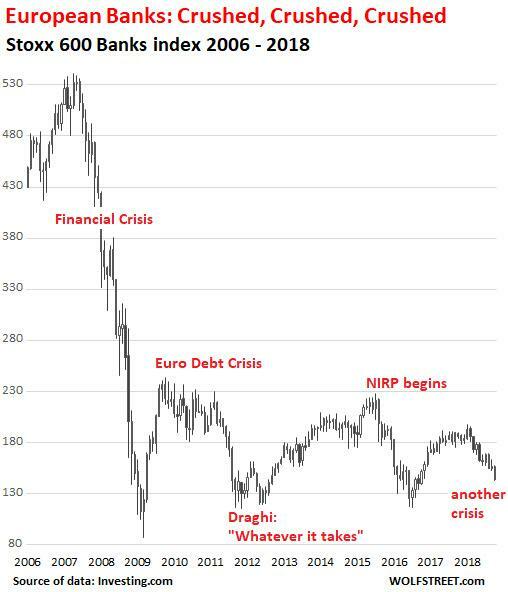 If all of that is true, then why are the stocks of the most systemically important banks in the world collapsing? As The Economic Collapse blog's Michael Snyder notes, if this reminds you of 2008, it should, because that is precisely what we witnessed back then. 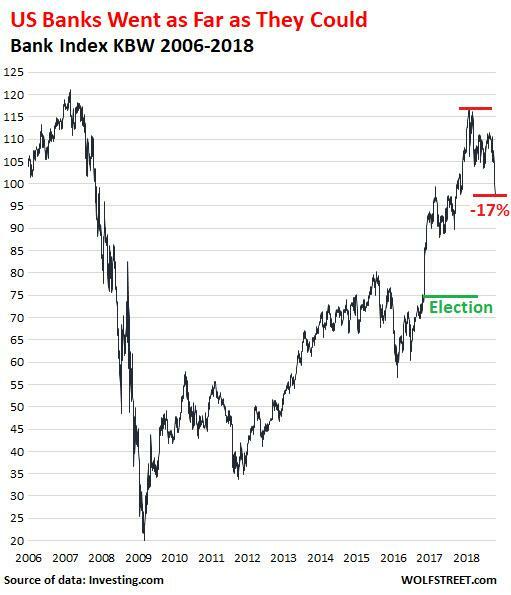 Banking stocks collapsed as fear gripped the marketplace, and ultimately many large global banks had to be bailed out either directly or indirectly by their national governments as they failed one after another. The health of the banking system is absolutely paramount, because the flow of money is our economic lifeblood. 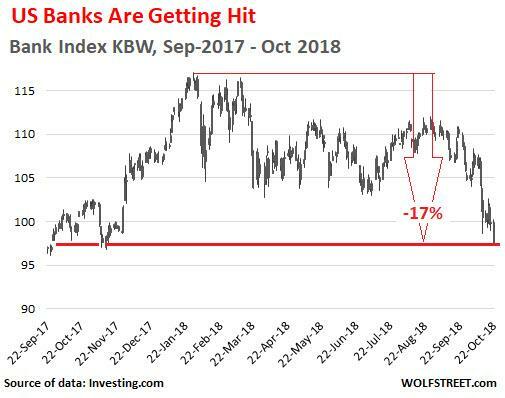 When the flow of money tightens up during a credit crunch, the consequences can be rapid and dramatic just like we witnessed in 2008. 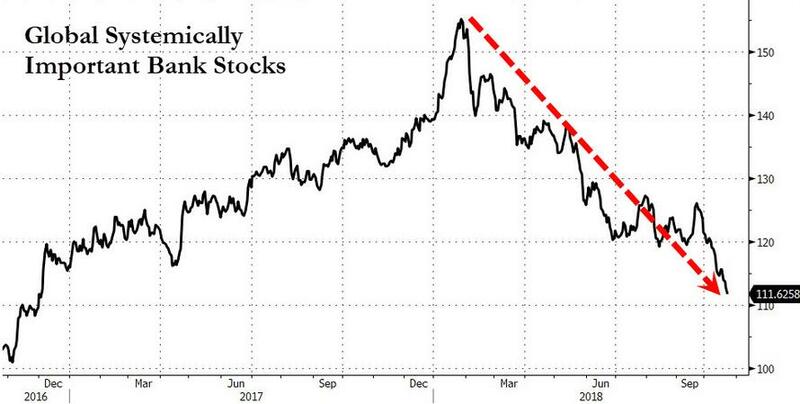 U.S. banking stocks are not officially in bear market territory yet, but they are getting close. 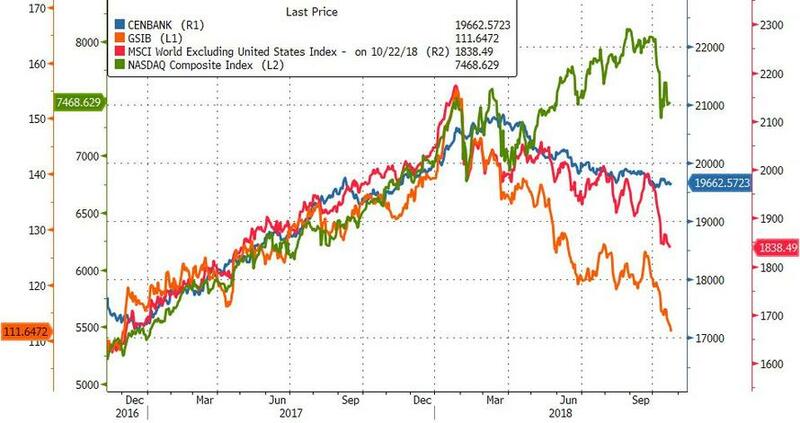 It’s not exactly a propitious sign that the banks in the US, after nearly recovering to their pre-Financial Crisis highs – “Close, but no cigar!” – are once again turning around and heading south as the Fed is “gradually” removing accommodation, which results in higher funding costs for banks and greater credit risks on outstanding loans. 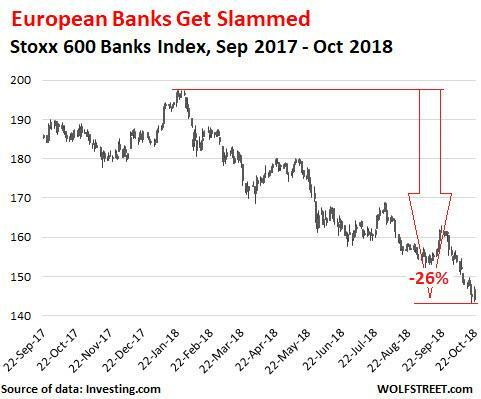 And the European banks remain a mess and have an excellent chance of getting still get messier.